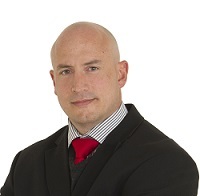 In line with Tongaat Hulett’s objective of increasing the pace of economic activity in the greater Durban metropolitan region, the team welcomes property expert, Guy Gordon, as an exclusive, fulltime consultant. His new role will see him operating across a number of the demand drivers (market sectors) that Tongaat Hulett has identified as having real potential within the region as well as identifying opportunities for new investment and development across Tongaat Hulett’s land portfolio. Gordon has a property development background, previously working as Managing Director of Amdec Property Development in Johannesburg and Cape Town. During his decade-long tenure at Amdec, Gordon’s responsibilities included the development, asset and property management of Melrose Arch, the iconic mixed-use development in Johannesburg’s affluent northern suburbs. Gordon’s appointment provides a powerful indication of the company’s intent to assist other government stakeholders to increase the competitiveness of the region. He said that Durban’s proximity to Johannesburg was perhaps its biggest strategic challenge in the commercial property context, as a lot of corporate business enterprises that would otherwise take up residence in Durban invariably end up locating their head offices in Johannesburg. However, Gordon’s role will be to substantially elevate the region’s positioning across South Africa, showcasing the incredible opportunities that the region offers to key industry players at a national level. “A major objective of mine will be to increase awareness, nationally, about the fantastic property solutions that Tongaat Hulett is able to facilitate across a wide range of market sectors and prime locations,” he explained. Tongaat Hulett Developments has identified a number of key demand drivers and is working with a number of government agencies and industry players to develop such drivers where the region has existing or potential competitive advantages. Gordon has a wealth of experience in a number of these drivers, including high intensity urban mixed-use, residential neighbourhoods, retirement and urban hotels, thereby adding immense value in this space. Tongaat Hulett Development constantly seeks to find value creation for all stakeholders, from entry-level opportunities to high-end developments. Gordon’s vast experience in all these fields is now set to greatly enhance the KwaZulu-Natal landscape. Tongaat Hulett is an agriculture and agri-processing business, focusing on the complementary feedstocks of sugarcane and maize. Its on-going activities in agriculture have resulted in the company having a substantial land portfolio within the primary growth corridors of KwaZulu-Natal with strong policy support for conversion at the appropriate time. A core element of Tongaat Hulett’s strategic vision is to maximise the value generated from the conversion of land in the portfolio by responding to key demand drivers and identifying its optimal end use for all stakeholders. Through its sugar and starch operations, Tongaat Hulett produces a range of refined carbohydrate products from sugarcane and maize, with a number of products being interchangeable. Global sweetener markets continue to be dynamic and the business seeks to optimise its various market positions, leveraging off its current base to maximise revenue from these products. The business’s sugar operations are well placed to benefit from evolving dynamics of renewable electricity and ethanol in South Africa, and the Southern African Development Community (SADC) region. Tongaat Hulett continues to focus on value creation for all stakeholders through an all-inclusive approach to growth and development and regards its constructive interfaces with governments and society to be of significant importance.